Judge Robert Rosenberg of the Broward County Canvassing Board uses a magnifying glass to examine a dimpled chad on a punch card ballot on November 24, 2000 during a vote recount in Fort Lauderdale, Fla.
Want to feel old? Consider the fact that babies who were crying in cribs while their parents agonized over Florida's protracted presidential recount in 2000 are now of voting age. Eighteen years is a long time. Even so, when we think of that time, many of us conjure up memories as sharp as barbed wire, roll our eyes or sigh out loud when anyone mentions "Florida 2000." That phrase is being invoked a lot in light of this year's ultra-tight Florida statewide elections. That's a load of high-profile, high-value races. But in 2000, the prize was the presidency of the United States. As the Electoral College vote took shape on election night, with the results piling up from around the country, it was clear the vote in Florida was going to determine not only the winner of that state's 25 electoral votes but the next occupant of the Oval Office. Although Gore had won the popular vote by roughly a half-million ballots, the all-important Electoral College count from the other 49 states (and District of Columbia) was so close that whoever won Florida would be the overall winner. The margin in the Sunshine State was so close that it took one's breath away. While the races in Florida last week appeared to be decided by thousands or tens of thousands, the presidential count there in 2000 was being measured in hundreds. Ultimately, it came down to just 537 votes out of six million cast. When we revisit the gut-wrenching night of Nov. 7, 2000, we recall that the TV networks looked at exit polls and sample swing precincts from Florida and declared it a win for Al Gore, who was the incumbent vice president and the Democratic nominee for president. Among those making that call were ABC, CBS, NBC, CNN, Fox News and The Associated Press. Their predictions came not long after the official closing time for voting in the state, when relatively few votes had actually been counted. By 8 p.m. ET on their election night specials, the national networks were calling populous swing states such as Pennsylvania and Michigan for Gore. Taken together with Florida, those states triggered the network's computer programs to conclude Gore would win the Electoral College. Viewers around the country would soon see Gore's face on screen as the projected winner of the presidency. Celebrations began in Democratic headquarters everywhere. After calling the race, the networks began getting phone calls from Republicans. One of them came from the campaign of the Republican nominee, George W. Bush, then governor of Texas. Bush's chief strategist, Karl Rove, phoned Fox News to insist that Florida was still in play. He shared his displeasure with someone who was likely to offer a sympathetic ear – John Ellis, a Fox analyst and member of the extended Bush family. Soon, the on-air personalities on Fox were telling viewers to reserve judgment on Florida. Before long, other networks were hearing the objections and reaching the same conclusion. At NPR, the advice from election-night guest Andrew Kohut, the director of the Pew Research Center, was to hold off on calling Florida. Kohut thought the first waves of exit polls leaned too much on what appeared to be an over-sampling of demographic groups inclined to vote Democratic. That could skew toward an unusual number of young voters, women voters and people of color. More than a few news organizations reached the same conclusion. However, Kohut noted it might also mean that a disproportionate number of these Democratic-leaning groups were voting early, or that a disproportionate number were being represented in the exit polls. Since then, we have seen several elections in which exit polling over-sampled voters with college and post-college educations – possibly because these voters are more willing to complete an exit poll "ballot" as they leave their polling place. Kohut was among those who saw this flaw even in 2000. At the time, he urged caution, but in the heat of the moment, NPR – like other media organizations – called the state for Gore. By the time the networks switched Florida to Bush, the Texan had enough Electoral College support to be the projected winner. That call was made in the early morning hours of November 8 by all the TV networks cited above, but not by the AP. Wednesday, November 8 dawned with some uncertainty as to who would be the next president. In the hours that followed, the nation came to know the name Katherine Harris. She was the Florida secretary of state, in charge of legally certifying winners in any statewide vote. She was also an ally of Republican Gov. Jeb Bush, the nominee's brother, and she had been co-chair of the nominee's statewide campaign. Harris announced that Bush had won Florida. That meant he would be president. Gore had first called Bush to congratulate him on his victory, called again to rescind the concession. The margin in Florida had shrunk to a sliver and a recount seemed in order. At the time, Republicans expressed dismay at the idea of a recount. They had won Florida, they insisted. The vote had been announced by Florida's secretary of state. It would surely be accepted by the reviewing authority, which was the U.S. Senate, where Republicans were in control. Lawyers for the two sides began arriving in Florida, focusing on the state capital of Tallahassee. On the Bush side they were led by James A. Baker III, the former secretary of state who had run successful presidential campaigns for Ronald Reagan and the nominee's father, George H. W. Bush. Although Baker had not been prominent in the younger Bush's campaign, he stepped in at the crucial moment in Florida. What followed was a five-week war over the ballots, the rules, the law and the courts. Bush's margin was so small that all the anomalies and oddities that mar the margins of any major election ballooned into major national controversies. There were confusing ballots marked for third-party candidate Patrick Buchanan in heavily Democratic precincts, suggesting they were cast by voters who had thought they were voting for Gore. 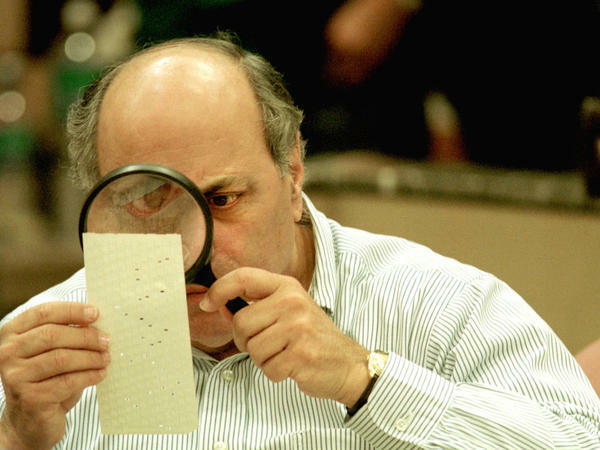 There were punch-card ballots where the voters' attempt to make their choice had only succeeded in detaching a portion of the perforated paper ("hanging chads" ) or merely denting – rather than removing – the punch-out ("dimpled chads"). So, when Harris certified Bush the winner, the Democrats sued to force a recount in a few counties where they thought it would help them overcome Bush's narrow margin. They lost in the state's circuit court, but that decision was reversed by the Florida Supreme Court. The Republicans appealed that ruling to the U.S. Supreme Court, which voted 7-2 to end the Florida court's ordered recount. In a 5-4 vote, the justices also ruled that no alternative method of recount could be established in a timely manner. In effect, the latter ruling made Bush president. That 5-4 majority was composed of the nominees of Republican Presidents George H.W. Bush, Ronald Reagan and Richard Nixon. The four in the minority had been nominated by three presidents: Republicans Gerald R. Ford and George H.W. Bush, and Democrat Bill Clinton. Bush v. Gore has been regarded as one of the most politically consequential decisions in the history of the court, and one that damaged the court's preferred image of itself as an institution far removed from everyday partisan politics. Will the current Florida conundrum need a resolution from the same source? In a chorus that echoes those voices of 2000, Florida Republicans (and indeed the GOP generally) are expressing dismay at the recount of 2018. They celebrated on Tuesday night in the belief that their candidates had prevailed. Republican Ron DeSantis proclaimed victory in the governor's race and current Gov. Rick Scott did the same for the Senate seat. But it soon became clear the precincts reporting on Tuesday did not include all the voters whose ballots were sent by mail. Also uncounted were many absentee, military and provisional ballots. So this week we begin again the arduous process of deciding how to count, and recount, Florida. The voting is supposed to proceed night and day until a winner is clear. In 2000 that process took five weeks and only ended at the Supreme Court. We shall see how long it takes to resolve this time. It is safe to say the wounds from the battles of 18 years ago have never healed — not in Florida and not in the nation's highest court. And not in the minds of a generation of Americans who thought the White House should have gone to Gore. 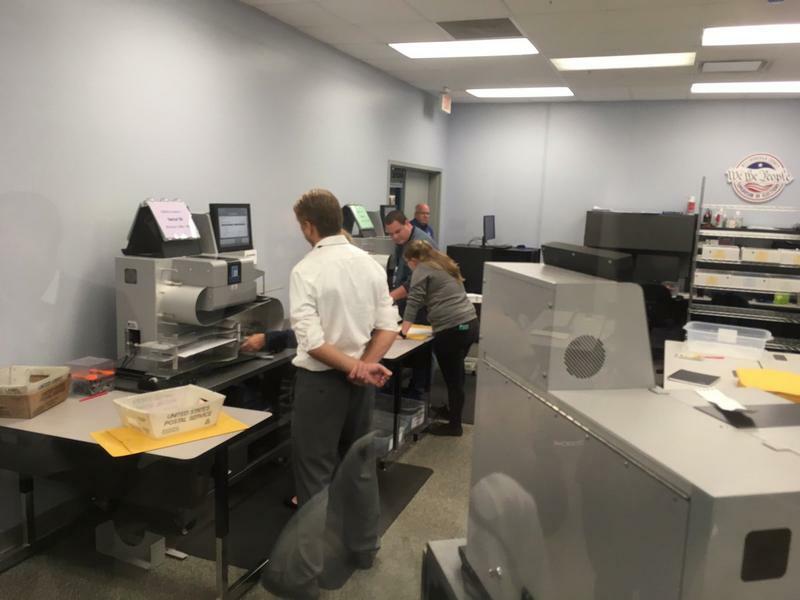 As automatic machine recounts got underway for three statewide elections Sunday, Republican U.S. Senate candidate Gov. Rick Scott filed three new lawsuits against South Florida election supervisors. Florida’s highest-ranking government officials are increasing the pressure on state police to get involved in the counting of ballots in heavily Democratic South Florida as Gov. 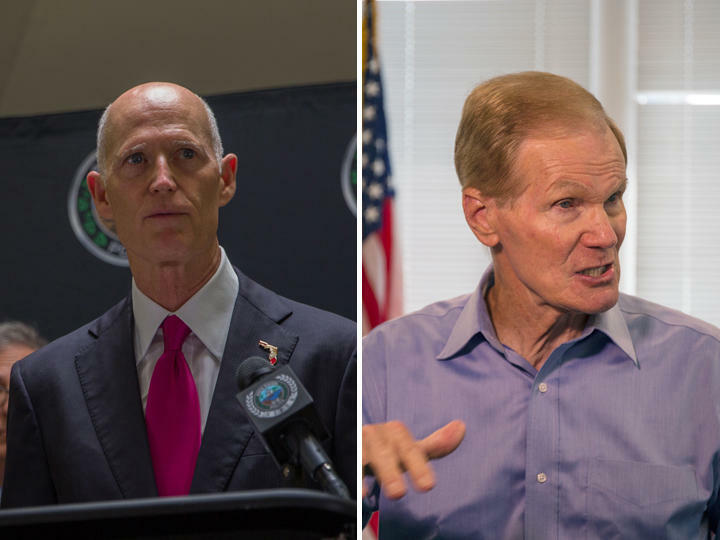 Rick Scott clings to a lead over Bill Nelson during a statewide recount of their nationally relevant U.S. Senate contest. After some early bumps, more than half of Florida's 67 counties began recounting votes Sunday in the razor-thin Senate and gubernatorial races, bringing back memories of the 2000 presidential fiasco. A heated controversy over Broward County’s vote-counting process intensified over the weekend as the county met a noon deadline on Saturday to send the state its final election results. With three tight statewide races now headed for recounts, dozens of Democrats flocked to the Broward elections office on Saturday to demand that every vote be counted. They confronted Republican demonstrators who, without evidence, have accused embattled election supervisor Brenda Snipes of election fraud. Democrat Andrew Gillum has withdrawn his concession in the Florida gubernatorial race following a recount. "I am replacing my words of concession with an uncompromised and unapologetic call that we count every single vote," Gillum said at a press conference in Tallahassee on Saturday. I am replacing my earlier concession with an unapologetic and uncompromised call to count every vote.